The hardcover anthology details collaborations with elite artists, architects, designers, and photographers. They include the graffiti and rose collections of Stephen Sprouse, the joke bags from Richard Prince, and the colorful Japanese purses of Takashi Murakami. Long time photographic collaborations with Inez Van Lamsweerde and Vinoodh Matadin and Annie Leibovitz are also celebrated. Along with plenty of full color photographs, this gorgeous coffee table book features critical essays examining Louis Vuitton's artistic development under the guidance of creative director Marc Jacobs. 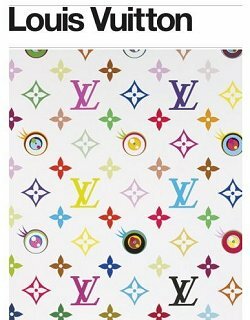 Louis Vuitton: Art, Fashion and Architecture will retail for $85.00 from September 2009. It is currently available for preorder through Amazon. I like it alot is the best,hope to have one real one day.